The inside of Newt Scamander’s briefcase has been brought to life through Virtual Reality technology. 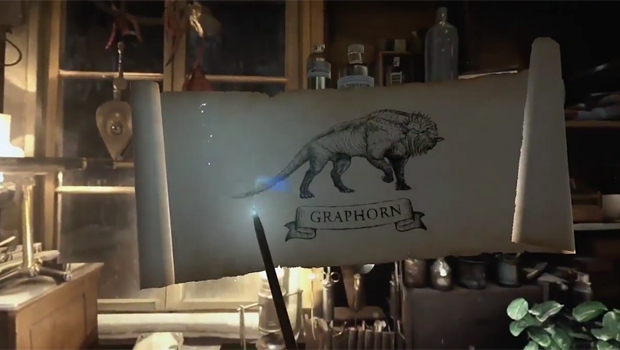 It is now possible to experience the world of magic in the shoes of Newt Scamander due to a partnership between Warner Bros. and the host, Google Daydream. On Google Daydream a preview of the 360 degree experience is available, as well as a search feature to find the nearest location available to you. To begin your experience you put on a special headset, which through connecting to Google’s Pixel phone places you in Wizarding World within Newt’s suitcase. The headphones in your ears will bring you the guidance of Newt Scamander (voiced by Eddie Redmayne himself) and the small controller in your hand will be visible to you as a wand. With sight and sound you will be experience Newt’s suitcase as though you somehow managed to walk right into the movie while it was playing. Since you have a 360 degree view and the wand is in your hand, you will be able to examine all of the magical trinkets and interact with the magical beasts and settings with unprecedented agency. Just like magic. The Fantastic Beasts and Where to Find Them virtual reality experience on Google’s Daydream platform was first released at the October Made by Google event. Pottermore had the chance to have an early experience of the technology, and state that more updates will be made to the Fantastic Beasts and Where to Find Them virtual reality experience.